FASTER MULTIPLE FILE CHOOSING IN VISTA....without the CTRL key. When you want to select multiple files in Windows Explorer, you can hold down the [Ctrl] key as you click on each file. If the files are in consecutive order, you can select the first file, hold down the [Shift] key and select the last file. However, when using either of these techniques, it’s easy to slip up and have to start all over. 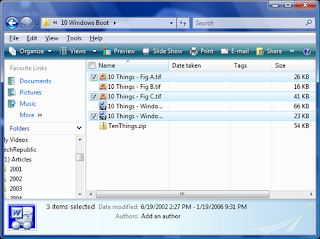 In Windows Vista there’s a way to put check boxes next to each file in Windows Explorer. As such, you can select files for regular file management operations just like you would select files in many backup programs. To enable this feature, launch Windows Explorer, press the [Alt] key to toggle the Menu Bar on, pull down the Tools menu, and select Folder Options. When you see the Folder Options dialog box, select the View tab. Then, under the Advanced Settings scroll down to the bottom of the list and select the Use Check Boxes To Select Items check box. Click OK to complete the operation. Now, when you hover your mouse pointer over the files in Windows Explorer, a check box will momentarily appear next each file as you move past it. If you select the check box, it will remain next to the file and the file will be selected. You can continue selecting files in this manner until you’ve selected all that you want, as shown in Figure. You’ll also notice that there is a check box in the Name column header. If you select that particular check box, all the files in that folder will be selected. *Operation times may vary depending on radio access technology used, operator network configuration and usage. * Actual achieved speeds may vary depending on network support. * Nokia Music Store availability varies by country. * The FM radio depends on an antenna other than the wireless device antenna. A compatible headset or enhancement needs to be attached to the device for the FM radio to function properly. * A-GPS is a network dependant feature that requires a data plan. Additional charges may apply. ** Downloading satellite images may involve the transmission of large amounts of data through your service provider’s network. Contact your service provider for information about data transmission charges. Popular launch of the much awaited iPhone 3G in India in the month of August 08; Apple iPhone mobile store site on the internet in uderway, which explains all aspects related to the iPhone and its technology. All Apple iPhone 3G models, 8 GB and 16 GB accessories, iPod models, iPhone best deals are availalable in India on the buy iPhone online website. Buy iPhone provides extensive knowledge on this high tech gadget which has created ripples in the human world. The high specification of the gadget makes Internet surfing and networking capabilities on the iPhone highly easy and fun in nature. A simply brilliant conjugation of various technologies- makes the iPhone an artifact worth its value. Supporting functionalities of a cellular phone: an iPhone works with features which include extensive functioning of a tablet PC, a digital camera and an iPod. Buy iPhone is dedicated to help the readers known every possible detail on iPhone, helping clear misconceptions and supporting the technological advancement. This website buyiphone.in is specifically designed to bring out the maximum amount of fact related to the gadget: which might help you to choose the very best for yourself. 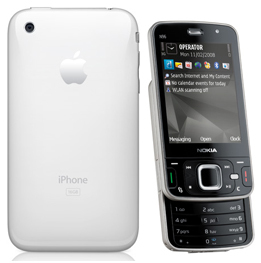 Buy iPhone portrays the tremendous facts about the newly launched much hyped gadget- the iPhone. We at Buy iPhone provide the best information on this piece of gadget which has been put together from the reviews of the various users, Apple and the independent analysts. * 2.0 megapixels Camera located on back of iPhone. Ahead of the launch of Apple’s iconic brand iPhone here, world’s largest mobile phone maker Nokia today unveiled its new converged device N96 under its ‘N Series’ stable. Apple and Nokia have not yet announced the prices of their models, but according to industry sources, both phones having 3G enabled features, which allow high quality net surfing, video and music download etc, would be priced in the same range. The price of iPhones would also have an Indian component as it would be offered by the service providers Bharti Airtel and Vodafone Essar. While iPhone is likely to cost about Rs 31,000 for the 8 GB version; N96, which is expected to hit the Indian market by September, is likely to be priced above Rs 30,000. Though Nokia is quiet confident that the company’s sales would not be impacted by the launch of the iPhone in the country, experts tracking the sector feel Nokia is hurrying the launch of N96 in India to counter the hype associated with the iPhone. “Our sales will not be affected by the launch of iPhone in the country...There are different segments of consumers whose needs are different,” Nokia India Director-Marketing Devinder Kishore told reporters here. 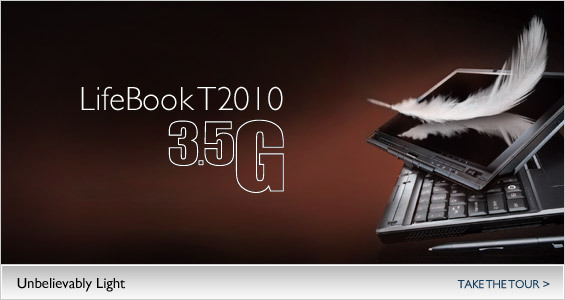 With a large 2.8-inch screen display, the phone packs 16 GB of internal memory, expandable up to 24GB. “The memory of N96 can store up to 18,000 songs, up to 20,000 images and up to 60 hours of video or 20 full length movies,” Kishore said. AMD's latest ATI Radeon 4870 X2 graphics processor promises over 2 teraFLOPS of processing power. To achieve that level, AMD took a double-barreled approach: It combined two GPUs on a single board, connected them with a wide pipe, and threw in 2 GB of memory. Advanced Micro Devices (NYSE: AMD) Latest News about AMD (AMD) announced the upcoming availability of what it says is the world's fastest graphics card Latest News about graphics card, the ATI (Nasdaq: ATYT) Latest News about ATI Radeon HD 4870 X2. 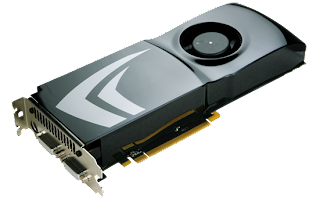 The card is part of AMD's ATI Radeon 4800 X2 series. It's the most powerful graphics technology to come out of AMD, delivering a 2.4 teraFLOPS of processing power -- that's 2.4 trillion floating point operations per second. AMD was able to achieve that amount of computation power not by developing a new, more powerful chip, but by combining two ATI Radeon 4800 series graphics processing units (GPUs) and throwing in a more advanced cross-GPU connection based on the PCIe 2.0 standard. It also mixed in 2 GB of memory. "It's a neat idea and a good approach for them," Ian Lao, an analyst at In-Stat, told TechNewsWorld. "Rather than go back and try to do everything into one super integrated piece, if you can do it and hit a target window for the market, more power to you." Get the latest Symbian OS applications for free at 3GSM! Symbian OS is the operating system that powers today’s most popular smartphones , including Nokia 7610, Sony Ericsson P 910, Siemens SX 1, Panasonic X 700 and Motorola A 1000. The open Symbian OS platform allows users to add third party applications to their phones, and personalize them to an unprecedented degree. To date, more than 4,200 Symbian OS applications have been developed and are now commercially available. PhotoID is a Symbian OS application that ensures you know who’s calling. The application allows you to associate a full-sized image with a contact: when they call, that image is displayed. PhotoID maintains an internal list of photos for the contacts, but can also obtain images from the standard Contacts application. Images can be taken from the camera or from an existing file in your phone's memory. Did you ever wish you could hide your location when talking on the phone? Ever wanted to give the impression you were somewhere else? With SoundCover you can hide your real location by the addition of background sounds to your phone calls. Pretend you're at the dentist, in the park, on the street, caught in a thunderstorm, near heavy machinery or at a circus parade. 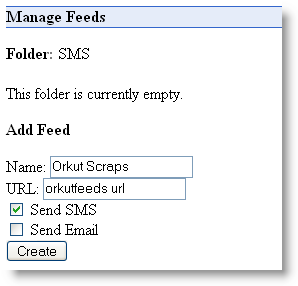 MailX will push your email directly on to your Symbian OS phone, ensuring you’re never out of touch from important mail. Where’s the remote? Now you can have all the controls in one place. With this unique universal Remote Control you can define your own set of devices you want to control from your phone. Your new universal irRemote does not have to learn anything – with its innovative one-off setup process, you just choose your brand from the list, then select device type (TV,DVD,VCR,CD, etc.) and it works simply and easily. SplashPhoto turns your smartphone into a mobile digital picture frame. Simply edit and organize your favorite images with the included desktop software then sync with your Symbian OS phone to take your pictures with you. SplashID safely and securely stores all of your personal identification information including user names, passwords, credit cards, calling cards, bank accounts, PINs, and more. Information is stored in a secure, encrypted format and is quickly accessible on a smartphone or desktop computer. AMD Fusion platform will be the first platform that includes GPU to the CPU. AMD is contracting with TSMC to produce this platform. The first Fusion chip called Shrike will feature a dual-core Phenom processor and an ATI RV800 graphics core. This chip that uses 40nm technology will be another alternative for the consumers who don’t want to use Intel Centirno 2 platform. The second Fusion chip codenamed Falcon will use 32nm technology and will hit the market in 2010. Falcon will be based on Bulldozer platform. Although AMD often launches its new platforms and chips after Intel for company's financial problems, the AMD’s products have always their own market clients. AMD’s products have always been the second good alternative for consumers who need affordable laptops.